One of the minor complications of being a vegan trapped in a foodie body is that I will never get to taste the vast majority of foods I blog about (or in some case the foods of clients I work with). Tough, others enjoy the taste and I enjoy the passion and zest for quality of product, service and brand. 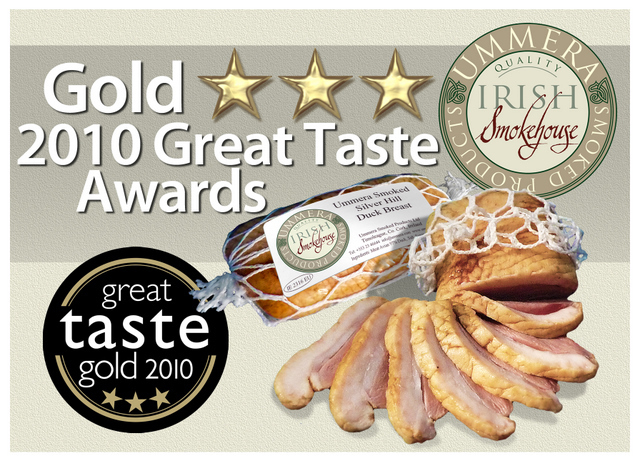 Ummera are Smokers in Cork and they pulled a 3 star Gold Award at the Great Taste awards in the UK in July. That is not easily done and a great compliment to them. Check out their site – where they also share the frustrations of small food producers being hampered by legislation.